Once you have some familiarity with using a sewing machine and patterns, there are many possible sewing skills to learn, and many possible paths to learning them. My thoughts on learning to sew started as a reaction to the book ‘Dressmaking’ by Alison Smith, so although I don’t think that is at beginner level, I do mention it. My previous post in this group was for complete beginners. There’s another post on what helps you learn. These are the guides I still think of rather than forgetting after a first look. (Or being disconcerted by/ rageous about all the errors !) I prefer lots of pictures, detailed instructions, videos, and gentle guidance through a set sequence of learning projects, so my choices won’t suit everyone. If you want to follow your own choice of projects – add to your skills by using easy patterns with clear instructions. Simplicity ‘Learn to Sew‘ patterns. 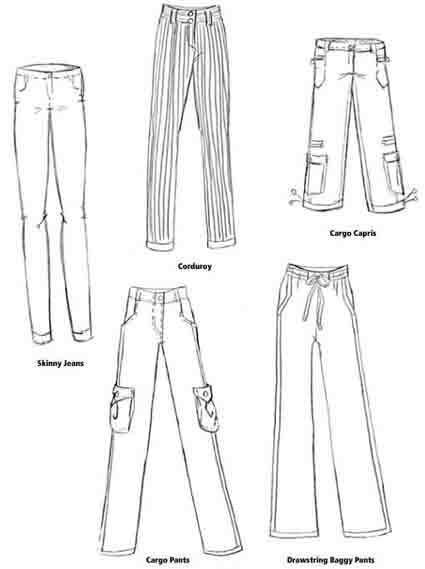 Simplicity ‘It’s So Easy‘ patterns are more trendy casuals. Beginners’ patterns from styleARC for modern classics. Shapes patterns, more ‘arty’ styles from Sewing Workshop/ Cutting Line. Several pattern companies rate their patterns for level of difficulty. And have detailed on-line sewalongs with photos in their blogs for extra support. Sewaholic patterns are very popular. There are also many easy patterns which don’t have special help with instructions, such as ‘one dot’ patterns from European companies like Burda Style (more trendy) or Ottobre (soft casuals). 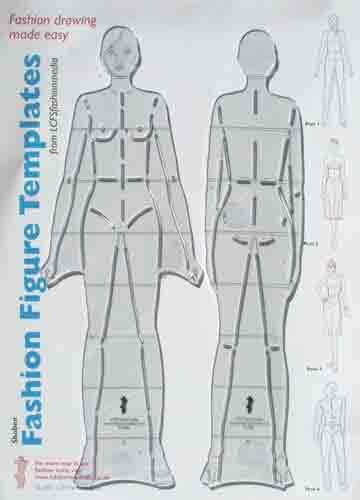 Or free download patterns from Hot Patterns for softer styles. Also most patterns that can be sewn quickly, see my posts on patterns that can be sewn in less than 2 hours, Index page 8. Search for free download sewing patterns and find multiple possibilities. Many of them are very simple, but with varying quality of instructions. If you’re happy in casual unfitted styles, you can dress well at this level of sewing skill. If you go your own way, you’ll probably want a general reference book for support when instructions assume you already know how to do what’s needed. Many people recommend the Readers Digest Complete Guide. Probably not for compete beginners. Full of drawings. Some beginners find the big ‘bibles’ overwhelming. Me and My Sewing Machine is a good reference book for basic processes. The late Shannon Gifford’s beginner classes cover basic techniques by making samples. Available as e-books from Pattern Review. Here are some specific sources for learning more sewing skills. Kwik Sew have a series of books which include patterns, one of them about learning to sew. Easy Sewing the Kwik Sew way by Kerstin Martensson includes patterns very like Kwik Sew Kwik Start ones. The basic patterns, and pattern altering and sewing techniques are much easier than the ‘Dressmaking’ book. Limited but effective skills. Simple sleeves, collars, facings, casings. No darts, zips, waistbands in the Kwik Sew book, while they’re all in the first project in ‘Dressmaking’. These Kwik Sew patterns are based on the casual dartless block for tops, with elastic waists for skirts and pants, so they don’t need much fitting work. The technique illustrations are diagrams. Includes simple knits and a multitude of pattern changes for different styles. These ‘Kwik Sew’ patterns are ultra classic, not at all trendy. The equivalent Kwik Sew Kwik Start patterns have somewhat more current proportions, but you don’t get all the guides for making other versions that you get in the book. The book and patterns do assume you already know how to use a sewing machine, the basics of fabrics types, pattern layout and cutting, etc. The only DIY pattern alterations in this book are making different lengths and adding some facings. There are different necklines marked on the patterns. 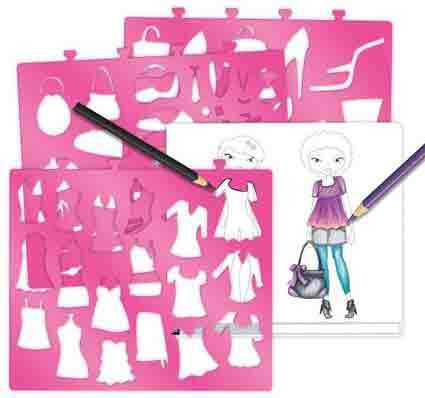 But the book does show that you can make a large range of styles using just these simple pattern changing skills. There are free classes at Craftsy on making simple bags. Start with a drawstring bag and bucket bag, then make a reversible tote and zipper pouch. HipLine Media have DVDs on making simple bags and quilt. Their DVD on learning to sew has a good sew along on making pyjamas, but the introductory material on basics is poor, just talking heads. If you’re looking for help with a specific process, there are detailed YouTube tutorials from FashionSewingBlogTV. Pity there isn’t an index ! Easiest to access them through her many sewalongs. I have seen some other DVDs and didn’t think they were good enough to justify the effort of finding what you want when there’s only a minimal menu. There are video classes at Craftsy on Beginner Serging and Creative Serging. Of the books I’ve seen, Simplicity ‘Simply the best‘ has the most specific guidance on using a serger for all the processes in making clothes. There’s no clear dividing line between Beginner and Intermediate. I put most garments that need zips and fitted sleeves at a higher level of skill. The first Threads magazine Teach yourself to sew DVD is more advanced than the Kwik Sew book. 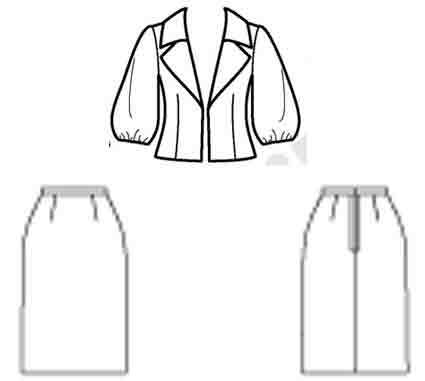 Make a skirt and jacket using darts, gathers, zips, waistband, skirt lining (Simplicity 2424 jacket, Vogue 8464 skirt). Nothing on pattern making. Each item you make that’s a little different, you add to your skill. At Intermediate level you can deal with anything that isn’t too structured or fancy. A variety of fabrics, sleeves, waistbands, collars, zips, pockets, plackets, yokes and pleats, plus easy dress and jacket linings. Next post in this group has some comments on learning these intermediate sewing skills and above. There’s no way any one person could know about all the possible sources on learning to sew – a bit like independent pattern companies, they’re spreading wildly! And different types of learners prefer different types of support. These are just the ones I’ve seen and kept. I seem to collect wardrobe pattern books and review them. I started reviewing ‘Dressmaking’ by Alison Smith. That started off so many thoughts on learning, my comments expanded into 5 posts. Perhaps that is a bit much ! The ‘Dressmaking’ book is supposed to be a ‘complete step-by-step’ guide to sewing. I don’t think it would be good for beginners. And it’s not for advanced skills. I do think it’s very good for intermediate learning, though it doesn’t cover anywhere near everything ! More on that later – first a couple of posts on help for beginners. These are my own levels of sewing difficulty. I don’t know any generally accepted list of skills ! It takes time to build confidence in all the skills needed to make garments. Fabric knowledge, pattern symbols, layout, cutting, marking, pressing, fitting, pattern altering, as well as sewing. It’s a wonder we ever learn it all. These are guides I get on with. As we all learn best in different ways (see my post on what helps you learn) they may not be to everyone’s taste. I like many pictures, much detail, easy beginnings and gentle progress. And videos. Some people are intimidated both by using a sewing machine and by commercial patterns. I’ve called them ‘timid’ complete beginners. And some people are happy to try anything with good instructions. Most books on learning are aimed at them. Some people are happy to use a machine, but daunted by commercial patterns. Suggestions for them at the end. Some people like to work direct with fabric. Including refashion charity shop finds. Currently popular but not my style. A lot of designers work in this way, by ‘draping’ on a dress form or person (see my post). Flat pattern making is actually quite a recent development. Different people prefer the different approaches. There are books, sites and blogs on this but I don’t know them. Nearly all the sources I mention involve a paper pattern – though some of them are very easy patterns that you make yourself. If you want to devise your own projects but need a beginners general reference book on sewing, there’s Me and my sewing machine by Kate Haxell – good and clear on basic sewing machine skills. 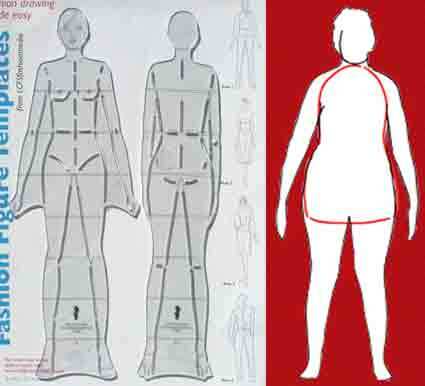 These are some places to start if you’re intimidated by the thought of using a sewing machine or a commercial pattern. 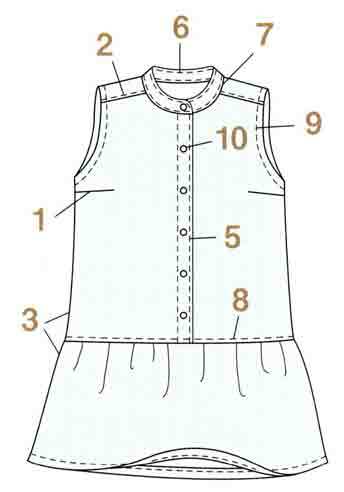 There are many on-line sewing tips and ultra simple beginner projects at Debbie Colgrove’s site. Move on to her detailed Sewing 101 course – make pillow covers and a robe (dressing gown). Here’s another simple on-line guide by Tilly and the buttons. eSewingWorkshop.com has a free course of on-line videos on the basics of using a sewing machine. Prefer a physical book ? Perhaps take A little course in sewing with a guided sequence of hand and machine sewing projects. Though there are pages of needed equipment. It would be less daunting if they mentioned that the tools actually needed (very few) are listed with each project. Or try Sew Over It by Lisa Comfort. Altering and embellishing clothes for beginners. The only complaints at Amazon are that it’s too easy ! I’m a timid learner myself. (The first issue of ‘Sew Stylish’ magazine had 12 sewing personalities. I recognised myself in “when will you have made enough place mats and be ready to move on ?” 😀 It’s drawstring bags I’ve got a house full of.) I know what’s it’s like to be knocked sideways by incomprehensible, incomplete or wrong instructions. I don’t know if there are any sources with no errors at all, but hopefully the ones I mention have very few. For beginners who don’t need to start quite so slowly. Most of these guides assume you’re happy to use a sewing machine. Diana Rupp is clear and helpful in her beginners’ video class at Craftsy. Make a pillow and simple skirt with zip. Linked to her book Sew Everything Workshop. Connie Crawford’s Studio Sewing Skills DVD leads you through practice samples (there’s even a kit of materials), then making a blouse. Make modern doll’s clothes ? – detailed videos at Rosie’s doll clothes. A couple of video series go from beginner to expert. You Can Make It DVDs are detailed sew-alongs with 7 levels : elastic waist skirt, skirt with zip and waistband, simple blouse with collar and sleeves, sleeveless dress with waist seam cut from plaid, pants with fly zip, shirt, notched collar jacket. Cumulative, later DVDs assume you have worked through earlier ones. Video clips here. The Sewing Guru has introductory videos on the sewing machine, and a beginners class on making a pillow (cushion cover) and apron. 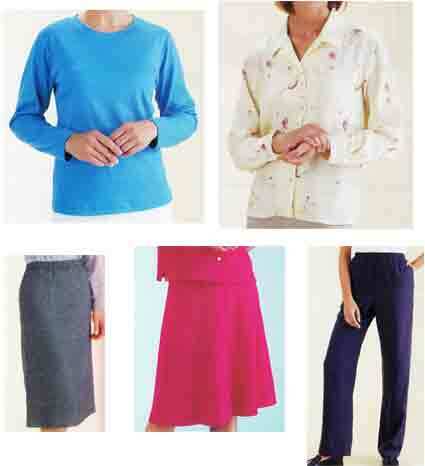 Then sew-along videos from easier skirt, pyjamas, dress, to more difficult men’s pants, shirt and tailored jackets. Join free for a couple of days and look around the site. Ah, those are all videos. I do like the clothes styles that the book Sewing Machine Basics by Jane Bolsover leads up to (pants, skirt, top patterns). Before that there are good sections on basic skills, then a related project. I need to be more imaginative about these projects – change the colours, and use fleece instead of felt ! Personally I find it more alarming to be expected to make my own patterns than to use a commercial pattern. But some people are the other way round. Some people find commercial patterns daunting and confusing. Some people find making their own patterns is more freely creative, and they feel more ownership of the result. These are some places to start if you don’t want to use a conventional pattern. They do assume you don’t need help with using a sewing machine, or you’re happy to hand sew your garments. I enjoy DIY Couture. 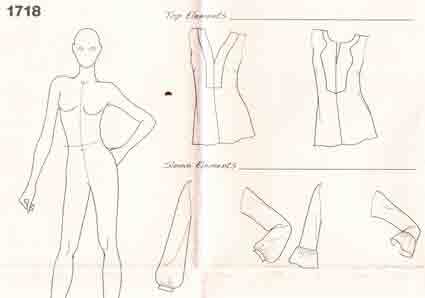 Instructions for drawing garment shapes directly onto the fabric. (The ‘How to use the instructions’ section has comments on which styles are easy, which more difficult.) There’s a long review with sample pages by nouvellegamine. These other books include making your own paper patterns by simple methods. The hippie style Hassle-free make your own clothes book is simple and fun. A bit like DIY Couture, but you draw the shapes onto paper rather than direct onto fabric. Sew What Bags is simple : cut fabric to measurements, or make a square/ rectangle pattern the shape and size you want your bag. Learning to sew is a topic a bit like fit – I’ve done a lot of exploring of what’s available ! Posts to come on sources I like at advanced beginner level, and for learning intermediate skills. There are hundreds of books on learning to sew. Some have a few minor mistakes, some are truly terrible. I’ve only seen a small sample. And it’s impossible for one book/ video to be in the best instruction style for everyone, or contain projects loved by all tastes – so you may not like my suggestions ! Good Luck for avoiding confusing books. Worth taking the time to read low star reviews at Amazon. And only believe 5 star reviews from beginners who’ve actually followed the instructions. Many glowing reviews are from people who just think the book looks pretty – much easier than writing good instructions. In the right hand menu of my blog there are links to on-line sources of sewing demos, DVDs, and tutorials. Getting to the level of being able to sew garments is a major achievement. This time some thoughts on personal learning style. (Earlier posts on our differences in Sewing style and Fitting style). Sewing involves many skills. Each is complex and can be done many different ways. What is the best format for you to learn from ? There are different ways of dealing with the world, which we have different amounts of talent for. Which of the ‘multiple intelligences’ come most easily to you ? What does this tell you about the best way for you to learn ? I like to see, read, write summaries, and do exercises. I’m most relaxed about learning sewing when I have both video demos and written materials. A video so I’m secure about exactly what I’m supposed to be doing. Detailed written step-by-step instructions so I haven’t got to remember every detail. And I definitely prefer physical books to e-books and on-line courses you can’t download and print ! I gave up on a quilt course with teachers who insisted you do a painting of what you were going to make before ever starting to sew. Not for me. But perhaps you find making design sketches of clothes helps you understand what you’re making and the processes needed. My facility with practical maths probably relates to my enjoyment of pattern making. If you’re mainly a hands-on learner, you probably don’t often look at this wordy blog 😀 But see the right hand menu for links to sewing DVDs, on-line video demos, and on-line written tutorials with photos. I also find an aspect of personality in the Myers-Briggs Type Indicator (MBTI) is very important in my learning – S/N. Are you happy with specific items (S), or do you prefer concepts and only understand details fully when you see how they fit into an overall scheme (N). I’m the second type of person (there are fewer of us), and teaching materials prepared by the first type of person can be difficult to cope with. If there’s no structure provided, I need to work out my own before I’m comfortable. Specific example : here’s a list of sewing machine parts, from a teachers’ guide that has been available for some time, so presumably many teachers and students are happy with it. Er. A list like that dances before my eyes. Ah, now I get it, of course, that’s obvious. . . There are so many different techniques and tools used in making a garment, I can find it overwhelming. I need a brief overview of the process, which I can relate the details to. Some Japanese pattern books summarise the sequence of sewing steps in a numbered diagram. I like to have a written list as well. Another dimension in the MBTI personality scheme is whether you like (J) or avoid (P) plans. This may affect whether you like to follow a formal learning scheme. I like to have a learning plan framework to give structure to the process, but in real life I rarely follow it! Introversion (I) and extraversion (E) are probably linked to how much you learn from self evaluation or group discussion. The final MBTI dimension is whether you react primarily by thinking (T) or by feeling (F). Not sure how that would relate to your preferred learning style. Perhaps Ts like to read all about it first, while Fs prefer to learn by doing. How much difficulty do you enjoy coping with ? I like to be guided through a carefully planned sequence of learning steps with detailed instructions. Starting from the very easiest and increasing the difficulty in very small amounts. But many people like the challenge of jumping in, having a go at making something complex right from the start, and working out how to make it as they go along. My preferences depend on where I am in the learning sequence. I prefer very detailed guidance when I’m first learning something. But once I know how to do it then I can be very creative with thinking what to do with the process, without any further instruction. I need the outcome of each sewing step firmly fixed in my mind, to feel confident that I can do it again. If I just sew through without pausing to acknowledge that each step is completed, I sort of lose contact with what I’m doing. It’s helpful for me to stop and take stock after each step – recognise the universal skills, what other things I can do with each process I’ve learned, and where I’ve got to in the overall construction process. I need to make multiple samples until I feel secure with a method, rather than always pushing on to something new. If I’m really nervous about a process, I set myself to make a ridiculous number of samples – 10, 20, 50 😀 So I prefer to learn by myself with my own pacing. But many people are at their best if they can get to a class and learn with others. And all the repetition which calms me would infuriate others. I also prefer to learn a new technique within a project specifically chosen for that technique, rather than being given a list of techniques and a list of projects, and having to combine them together myself. But some people passionately dislike having techniques explained within projects rather than separately. Some books and DVDs do it one way, some the other, and it’s good to find ones with the right style for you. Some of us enjoy a lifetime of learning new skills. And some of us are happy creating with a few simple techniques. Which of all these intelligences and personality dimensions are your natural gifts ? Best Wishes for finding the type of sewing, fitting, learning that will give you the greatest pleasure and support and relaxation.